As is typical before the New Year, I find myself reminiscing on the one that is coming to an end. 2014 was a weird, tumultuous, long year. It was a year of big changes, and leaps of faith, and mistakes, and some of the best times ever. It was a year of growth, that’s for sure. The beginning of the year was rough. I was unhappy with my life, frustrated that it wasn’t moving forward, and unsure of what to do to change things. Then I got a new job. I left my comfortable, mostly safe, yet painfully boring, job at a company I had worked at since college. I was excited! This was going to be great! It was an opportunity I never thought I would have! And it was all of those things for a little while. Then the shine wore off and the truth presented itself and while I am super grateful I took the leap and I do truly believe doing so has set me on a path to somewhere I’m supposed to be, I’m still struggling with that part of my life. It’s really been the last three or four months of 2014 that have been some of the most spectacular months of my life so far. I’ve made some new, truly wonderful, amazing, weird-in-the-best-possible-way friends. It has been such a pleasure getting to spend time with these ladies on a regular basis and talk to them constantly. I had no idea I needed a tribe so badly until I found mine. And the biggest most bestest thing to happen in all of 2014 (probably my whole life to this point) is N and I buying a house. Good golly I still can’t get over it. It’s been a challenge, and so damn expensive, but worth every moment of stress, extra penny spent, and pile of dishes washed. Plus I get to do it all with my best friend and love of my life which makes it even better. Even if he does leave his smelly snowboard boots right by the front door so that odor is the first thing I smell upon arriving home. He’s still the best. Mostly at the end of 2014 I am feeling incredibly and overwhelmingly grateful and thankful for all the wonderful people in my life. The outpouring of generosity we have seen, and love and encouragement from family and friends, has been truly wonderful. Not a day goes by where I am not grateful for this life I get to lead and all the people who help to support me living it. And yes, this includes everyone who listens to me whine and assures me I’m not as crazy as I feel. So for 2015 I’m hoping to continue on this positive path. I’m opening my sails and heading off to wherever the year may take me. I have a feeling it’s going to be a good one. Harry Potter is having a bit of a resurgence in my life right now. Actually, he seems to be having a bit of a resurgence in general. Myself and two of my friends all decided within the last few months, completely independently, to re-read the entire series. Truth: I’ve done this several times since reading the first book when I was 11. They never get old to me. They’re as enjoyable on the 10th read as they were on the 2nd (but let’s face it, NOTHING compares to the first read through of any book, let alone a series as universally beloved as Harry Potter). I watch the movies regularly as well. ABC Family makes it easy because they have Harry Potter marathons pretty much every weekend (and they air deleted scenes, you guys!). I have a Pottermore account, which goes largely unused until recently, when J.K. Rowling posted new material about where our favorite Hogwarts alums are now in the form of a Rita Skeeter article that was supposed to be focusing on the Quidditch World Cup, which took place this year (spoiler alert, Bulgaria won, with Krum out of retirement as seeker!). I’m sure there are lots of articles and blog posts ruminating on why Harry Potter has such staying power, why the series is loved by children and adults alike, so I won’t go into that here. But I will talk a bit about why I think Harry Potter still means so much to me. I grew up with Harry and the gang. The first book came out when I was 11, the same age Harry was in the first book. I remember very clearly sitting in my living room and my dad handing me this book he said he had read about in the newspaper. At this point I was old enough to think that whatever my dad thought might be “cool” probably wasn’t at all and I was also not yet old enough to think anyone could find anything of interest in a newspaper. I didn’t want to read it. I started reading it anyway. And I was immediately hooked. What 11-year-old doesn’t dream that perhaps they are really a prince or princess or maybe they were switched at birth their rich, famous parents could show up any minute to whisk them away into a life of luxury? (Still waiting on that, actually.) Point being, the idea that poor Harry had a half-giant show up and tell him “Hey, you’re a wizard and you can do magic and you’re going to come with me and live in this magical world and have an owl for a pet” was extremely appealing. HOW COOL. And then, when I turned 21, it all ended. Coincidentally, I suppose you could say the books ended when my childhood did. (When you can go to a bar and legally order a [butter]beer that basically means you’re an adult, right?) It was the weirdest feeling. Like someone died. NO more Harry? But…what? That’s probably when I decided to re-read the books for the first time. They’re always there for me. The books are kind of like a security blanket for me. Nothing to read? It’s ok, all seven books are on my Kindle and I can read them whenever I want, complete with my favorite lines highlighted. I also have all eight movies on DVD, in case it’s a rainy weekend and for some weird reason they’re not on ABC Family. I have the Harry Potter theme music on my phone, as both a ringtone and the actual song, just in case I need a touch of magic during my morning commute. I have all these things, and I enjoy them, because they take me back to when I was 11 and finding Harry for the first time. Nothing can compare to the original time you read a book, but every time I start the Sorcerer’s Stone (“Mr. and Mrs. Dursley, of number four, Privet Drive, were proud to say that they were perfectly normal, thank you very much”) it takes me back a little bit. When life is rough or in some kind of flux, I turn to Harry. Because he doesn’t change. He always makes it out okay in the end. And whatever is going wrong in my life at the time prroobbably isn’t as bad as an evil wizard constantly trying to kill you. Perspective. They stand the test of time. There’s nothing in these books that dates them. No pop culture references to make it obvious when they were written. The stories themselves never seem trite or immature, even reading them as an adult. They were enjoyed by people of all ages when they were originally published, and I don’t see that changing. I can’t wait to read them to my children someday and share the magic with them. I can only imagine that the next best thing to being able to read them for the first time again is getting to see a child experience them for the first time. Lord help me if my kids don’t like Harry Potter. I”m sending them back. I don’t know how J.K. Rowling managed to create this amazing global phenomenon. I mean, she jotted down the original idea on a napkin, and it somehow grew into what it is. Still, nearly 20 years later, Harry Potter is A Thing. Rowling is still giving us some original material via Pottermore. They’ve just expanded The Wizarding World of Harry Potter at Universal. It truly is magical. So obviously, J.K. Rowling is a witch. I almost forgot to do this! Not much to report for Februaries throughout the years. It is a short month, after all. 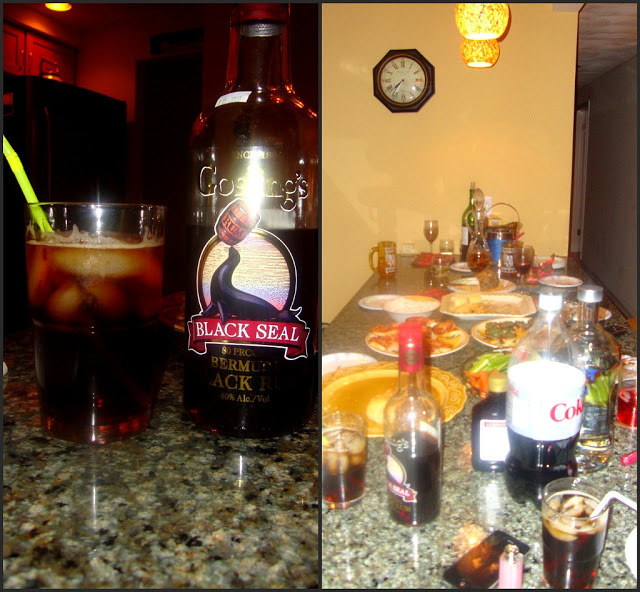 It is the month I started blogging though, so this recap goes back to 2010. Not that 2010 was thrilling in the least, apparently. I have a lot of fun looking back though. So glad I have even this small record to remind me of the little things and how far I’ve come. My first blog post! I would say 2010 was probably the year when it occurred to me that life is fricken hard. Every other post from this month was short and stupid. I did a 30 for 30 challenge! This was fun and I considered doing one again, but I already feel like I don’t wear all the clothes I own nearly enough. Been toying around with the idea of attempting to wear every item in my closet to see if I actually like any of this stuff. We’ll see. Anyway, for my first outfit I wore a shirt with a stain on it. I just don’t know sometimes. I had my first (and so far only) story published! This was so exciting for me. 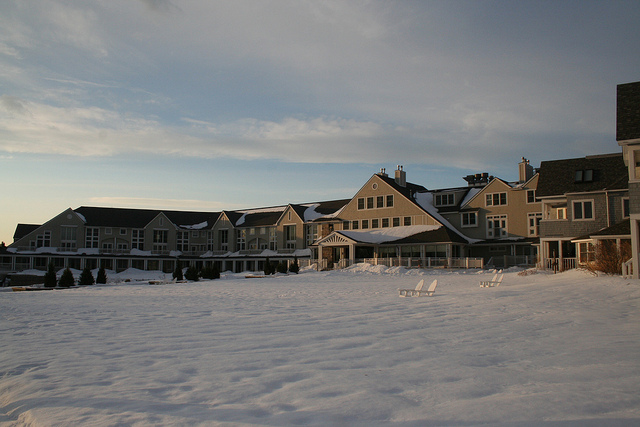 N and I went away for valentine’s Day and stayed at this lovely hotel in Maine that is one of my all-time favorite places to stay. I wrote up a little post on how to pack for plane trips with only a carry on. Honestly you guys, there are very few instances where I feel you need to check a bag. If I’m going away, the last thing I want to do is spend any time hanging out at a baggage carrousel. And when you look deep down inside yourself, don’t you usually only wear half of what you packed for vacation, anyway? 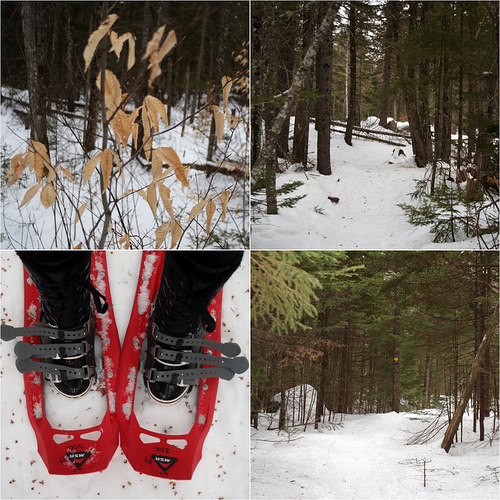 I went snowshoeing while N was snowboarding and got minorly lost in the woods. The woods filled with signs warning me of moose. And bears. Nemo happened. I’d take Nemo over the winter we’ve had this year any day. I did a January recap and apparently lost 5lbs last January. Good for me! This year isn’t going quite as well. Apparently February has been a historically taxing month in my life. Good thing it’s so short. Apparently I won’t have anything to look back on from February of this year because I didn’t post. It was a pretty good month other than the bitter cold and snow! I’d like that to go on record. One of my main purposes for having a blog is so I can look back at my life and reminisce. So I have some kind of documentation of the things I have done and the places I’ve been and the people I’ve known. It occurred to me recently that I don’t actually ever look back through old posts. So for every month this year, I’m going to look back at posts from previous years for that month and pull some of my favorite moments. 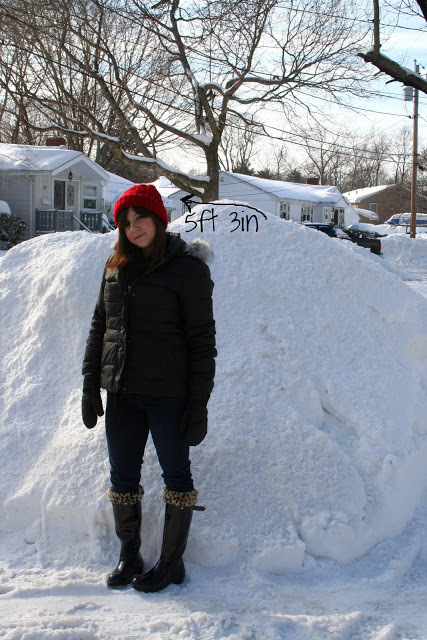 I’m Taking a Vacation – We got SO MUCH SNOW this winter. Look at those snowbanks! It snowed heavily once a week for a good three months. 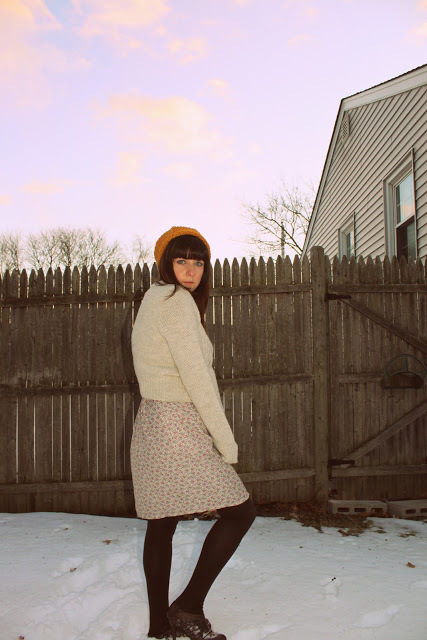 Sweater Weather – This set of photos are my favorite ones I ever took from my foray into fashion blogging. 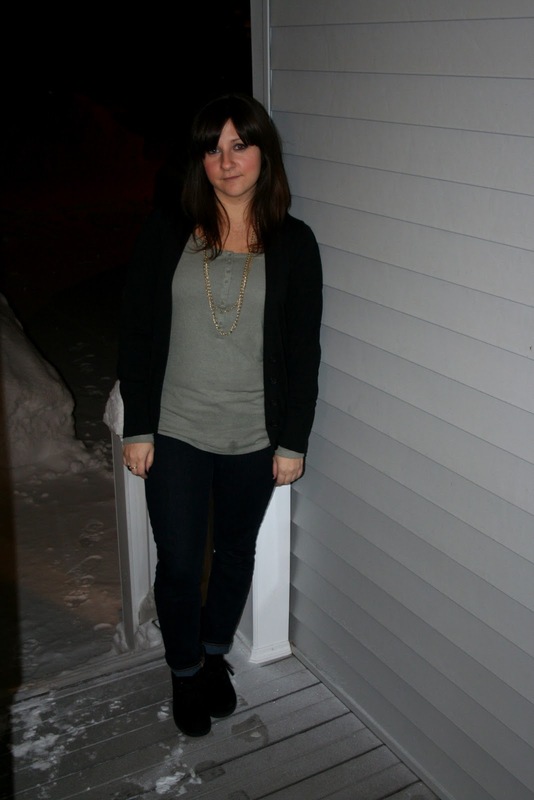 Speaking of fashion blogging: oh my GOD am I glad I quit that. I never felt completely comfortable doing it, and I wasn’t very good at it, either. It is fun now to look back and see how my style has evolved, though. Happy New Year, Too – I’m including this because it’s also what I did for NYE 2013 and 2014, essentially. I even took the same food picture. Dieting – Honestly, I have posted something to this effect so many times. I am so sick of it. I am sick of hearing myself talk about dieting, and working out, and losing weight. So I’m really trying not to do it anymore. At least, I’m trying not to obsess over it. I am happy, I am healthy, and I enjoy food. Being healthy, looking good, and feeling good about myself are all still important to me, and I feel like I am coming closer to reaching a balance between enjoying life and maintaining a figure I am comfortable with. Turtle, Turtle, Turtle – I can remember wearing this outfit and feeling weird about it, but looking back I am actually digging it. I may even recreate it. Turtlenecks for the win! Sleeping Bag Coats – I still love my sleeping bag coat. With how cold this winter has been, I have more than once considered upgrading mine to the version that reaches my ankles. Seriously, I don’t like the cold touching me. 2013 Resolutions – Hahahaha. Nope. This is why I’m not making resolutions anymore. 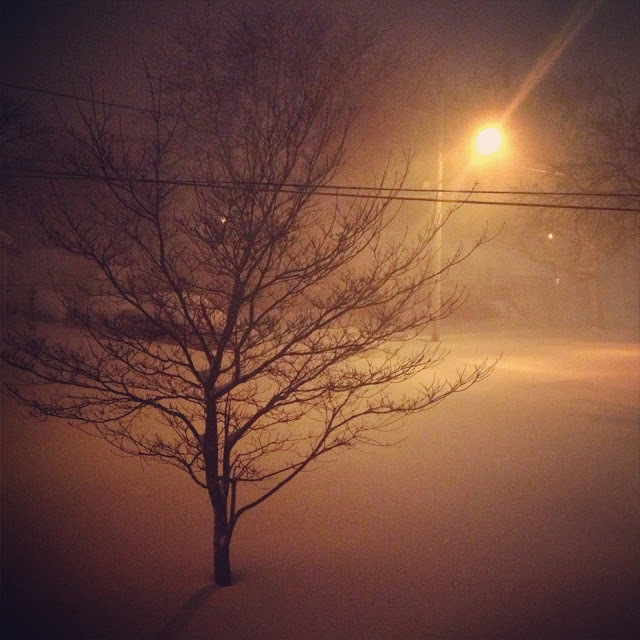 Winter of Me – Ugh. This was really, really hard to look back on. Last year was just the worst. I can happily report that “Boyfriend” and “N” are one in the same and we are happily together again. 2013 was definitely a rough year for me. It was a growth year, for sure, and I needed it, but it was HARD. I am hoping 2014 will bring more growth, but maybe be a bit more gentle on me. Know When to Walk Away, Know When To Run – Like I said, 2013 was rough. I was obviously in a difficult spot in January of last year. This whole past holiday season, despite the fact that I wasn’t really feeling it, I was so grateful to be in a better place than I was last year. I am still extremely grateful to be where I am now. Life isn’t perfect, by any means, but I feel as though I am more content. I am excited for everything in life I have to look forward to, and I’m ready to just go with the flow a bit more. No more timelines, no more goals and planning. I just want to live. So maybe that’s my New Year’s resolution – to just be.